This is the 2015 fiscal Fukushima special interpretation guidance officer of recruitment . 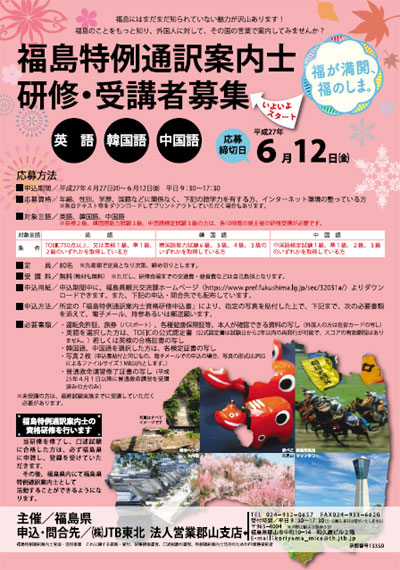 Organizer is a Fukushima Prefecture Tourism Exchange Division . This application deadline is June 12th is the deadline . Copyright© 福島のアイデア All Rights Reserved.